The 45 soldiers were killed when Houthi militias fired a missile at arms depot at a military base in Yemen’s eastern province of Marib, the UAE’s state news agency WAM reported. 10 Saudi soldiers, as well as 5 from Bahrain, were also killed in the attack. Hours after the Houthi attack, UAE Air Force fighter jets launched strikes on militia targets. Saudi Arabia, the UAE and Bahrain are three key members of the Arab-led coalition seeking to restore the internationally-recognized government of Yemeni President Abdrabbu Mansour Hadi to power. 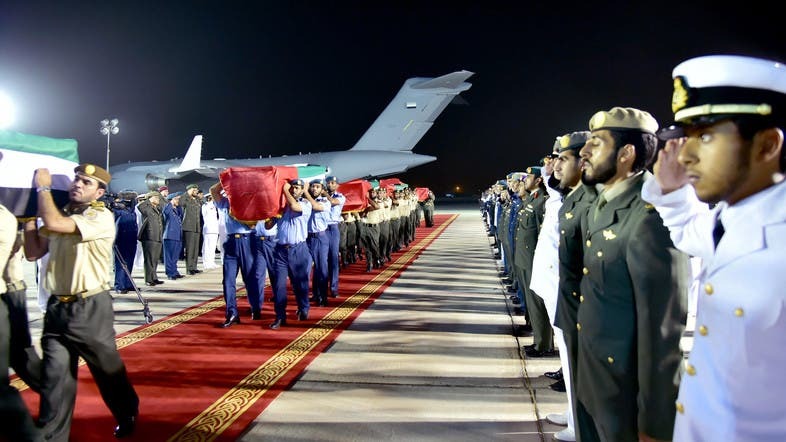 Early on Saturday, the bodies of the dead armed forces members were brought home onboard a military plane of the UAE air force and air defense. The UAE’s ministry of presidential affairs declared a three-day period of mourning, starting from Saturday. Flags will be flown at half-mast for the duration of the mourning.